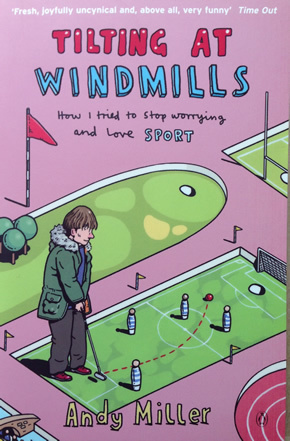 TILTING AT WINDMILLS was published by Penguin in 2002, just before the football World Cup of that year. It received a lot of good reviews, a couple of lukewarm ones and an absolute drubbing in the Mail on Sunday, something that absolutely delighted me but made my mother cry. 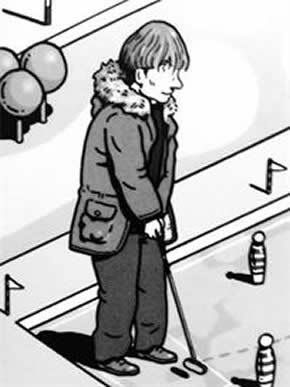 Quite a few people have told me over the years that the book inspired them to take up competitive miniature golf as a sport, which I’m genuinely thrilled about. The people who seemed to struggle with the book – all of them men – were those who couldn’t conceive that anyone could genuinely dislike sport as much as I seemed to, actually really did and indeed still do [see quote from the Telegraph below]. Which rather proved my point. The book sold OK. As I say, men who like sport didn’t understand what it was for. However women understood it and loved it; the challenge was persuading a significant number of them they wanted to read a book about sport in the first place. Mea culpa. It is currently out of print but, like most old books, you can buy it from Amazon Marketplace for 1p. However, plans are afoot to republish it later this year as an e-book – and maybe even a p-book – with a new introduction from me. Watch this space! 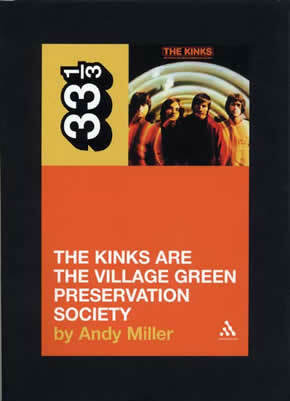 This is a short book about The Kinks’ The Kinks Are The Village Green Preservation Society; if you like the LP, you’ll like this. That was the idea anyway. It was published by Continuum in 2003 and is still in print, has been translated into Spanish, is available as an e-book, and was made into an audio book without my knowledge or permission, read by an American actor called Victor Bevine, whose credits include Murder, She Wrote, Homicide: Life on the Street and Chicago Hope. Victor does a good job but this very English book about a very English band by a very English writer was never meant to be read aloud by anyone, let alone the voice of a Romulan guard from a Star Trek video game. I’d love to have been a fly on the wall during the recording session. Or a lawyer with an injunction just before it. For a long time this was the bestselling title in Continuum’s 33 1/3 series of little books about specific albums – its success was nothing to do with me and everything to do with the LP, it almost goes without saying. Nevertheless, I am proud of the book and think it does the LP justice. Thank you David Barker for commissioning me to write it, it was huge fun and I am grateful to this day. It received a few brief reviews, of which my favourite was from Pitchfork: “insanely detailed”. Why, thank you! More importantly, Kinks fans seem to like the book too. 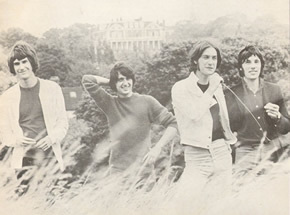 I wanted to write about the Kinks with the seriousness accorded to the Beatles, the Stones or the Who but which, it seemed to me, was usually lacking in most approaches to this eccentric but brilliant group. It is also my favourite album by anyone, ever, and I got to speak to all four original members. I was subsequently asked to contribute to the liner notes for the deluxe reissue of the album; and I regularly meet Kinks fans and people I admire, such as producer Andrew Sandoval and Dave Gregory from XTC, who tell me how much they like the book. I believe Ray Davies may have read it and liked it too. So I’m not really that annoyed about Victor Bevine. But perhaps steer clear of the audio version. Buy another copy of the album instead. The paperback is available here and here, and the ebook is available here and here. @2014 Andy Miller. All rights reserved.